In today's edition of the Hoosier Sound-Off: • Starts off with updates on multiple women’s sports teams, including invitations and big wins. • One of the softball pitchers was drafted in the women’s College Draft last week. • Closes with multiple updates on many men’s sports programs and how the last week went.If you want to learn more about "The Hoosier Sound" or "IndianaHQ," go to our website, indianahq.com for all of our information. In today's edition of the Hoosier Sound-Off: • The Hoosier football team had their annual Cream and Crimson game this past Friday as we got to see some Spring football. • The men’s tennis team wrapped up home play over the weekend. • The baseball team is back to another hot streak after winning the last seven matchups.If you want to learn more about "The Hoosier Sound" or "IndianaHQ," go to our website, indianahq.com for all of our information. In today's edition of the Hoosier Sound-Off: • IndianaHQ and The Hoosier Sound have an announcement about the Hoosier Sound-Offs going forward. • Some updates come from this weekend after games were played in multiple sports. • The baseball team lit up the Hoosier news world over the weekend before big news came for the first time in almost two decades.If you want to learn more about "The Hoosier Sound" or "IndianaHQ," go to our website, indianahq.com for all of our information. In today's edition of the Hoosier Sound-Off: • The season is over for the men’s swimming and diving program, but the awards don’t stop coming in for the Hoosiers. • The football team has some news in April before their Spring game. 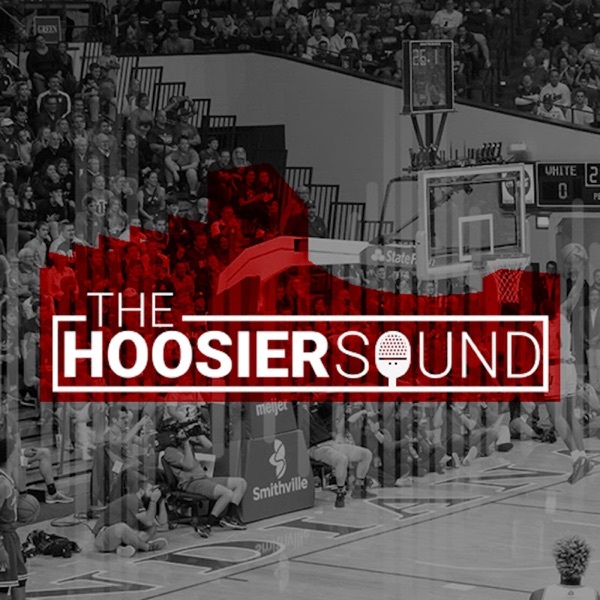 • The men’s basketball team has a lot of news despite being the offseason for the Hoosiers.If you want to learn more about "The Hoosier Sound" or "IndianaHQ," go to our website, indianahq.com for all of our information. In today's edition of the Hoosier Sound-Off: • The softball team had a successful weekend over Michigan State as the women’s basketball team got some sad news. • The baseball team had a successful weekend at Maryland while the men’s tennis team split their matches. • The men’s swimming and diving program finished third in the NCAA Championship.If you want to learn more about "The Hoosier Sound" or "IndianaHQ," go to our website, indianahq.com for all of our information. In today's edition of the Hoosier Sound-Off: • We start out the episode with some updates from the spring sports programs as many are just past the midway point of their seasons. • The men’s swimming and diving program has started their run in the NCaAA Championship as the highly ranked Hoosiers look to finish the season strong.If you want to learn more about "The Hoosier Sound" or "IndianaHQ," go to our website, indianahq.com for all of our information. In today's edition of the Hoosier Sound-Off: • The Women’s Swimming and Diving program finished their season at the NCAA Championship in Austin, Texas over the weekend. • The Men’s Basketball team won their second NIT game and will take on Wichita State for their third matchup. • The Women’s Basketball team had a great weekend in Eugene, Oregon as the Lady Hoosiers won another NCAA Tournament game.If you want to learn more about "The Hoosier Sound" or "IndianaHQ," go to our website, indianahq.com for all of our information. In today's edition of the Hoosier Sound-Off: • The Women’s Swimming and Diving program started their NCAA Championship as well as the wrestling team. • The Men’s Basketball team won their first NIT game and will take on Arkansas for their second matchup. • The Women’s Basketball team is going dancing in Eugene, Oregon to face Texas in their first game of the NCAA Tournament.If you want to learn more about "The Hoosier Sound" or "IndianaHQ," go to our website, indianahq.com for all of our information. In today's edition of the Hoosier Sound-Off: • The Women’s Basketball team will see if they get to dance tonight during Selection Monday. • The Men’s Basketball team did not make the NCAA Tournament, but made the NIT Tournament as a No. 1 seed.If you want to learn more about "The Hoosier Sound" or "IndianaHQ," go to our website, indianahq.com for all of our information. In today's edition of the Hoosier Sound-Off: • The Men’s Basketball team lost a pivotal game against Ohio State that depleted their tournament hopes significantly.If you want to learn more about "The Hoosier Sound" or "IndianaHQ," go to our website, indianahq.com for all of our information. In today's edition of the Hoosier Sound-Off: • We check in on the Softball team as they had another successful weekend and are still nationally relevant. • The Women’s Basketball team lost over the weekend in the Big Ten Tournament, but their NCAA Tournament hopes are still very alive. • The Men’s Basketball team keep their NCAA Tournament bubble hopes alive as they close out the regular season with a victory against Rutgers.If you want to learn more about "The Hoosier Sound" or "IndianaHQ," go to our website, indianahq.com for all of our information. In today's edition of the Hoosier Sound-Off: • The Women’s Basketball team get their first victory in the Big Ten Tournament as they look to pad their NCAA Tournament resume. • The Men’s Basketball team keep their NCAA Tournament bubble hopes alive as they get a big offensive victory against Illinois.If you want to learn more about "The Hoosier Sound" or "IndianaHQ," go to our website, indianahq.com for all of our information. In today's edition of the Hoosier Sound-Off: • Women’s Basketball beat Purdue, and the Men’s Basketball team is staying alive in the NCAA Tournament talk. • The Men’s Swimming and Diving Big Ten Championship has yet again won the Big Ten Championship. • Although softball lost their first two games this weekend, they still beat the #10 LSU Tigers.If you want to learn more about "The Hoosier Sound" or "IndianaHQ," go to our website, indianahq.com for all of our information.